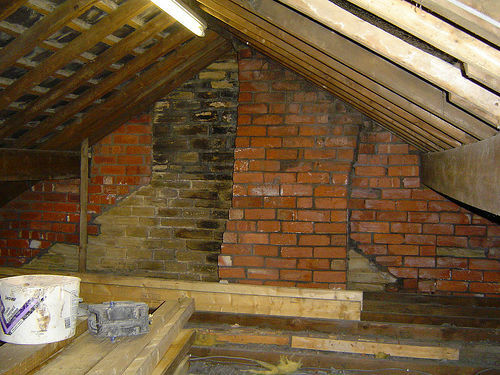 Structural work is the main job facing DIYers so shell conversions are the perfect answer for those of us who want to do a large amount of the work ourselves or who are looking to convert their loft whilst significantly reducing the costs. Obviously when thinking of converting the loft as a full or part DIY project you need to be absolutely sure of the work you will be taking on. And, what the shell option allows you to do, is to keep costs down and do plenty of the work yourself whilst letting a building company complete the most complicated tasks. So What Are Shell Loft Conversions? Its pretty much what it says on the tin. A builder will complete a shell before handing the project over to the householder. A shell project usually consists of the builder completing all the necessary structural work including the heavy jobs such as installing new beams, strengthening the floor with new joists and putting in any dormers that are required to increase the available space. The builder will complete the shell by adding and installing the new staircase and windows. Once that is done the project, from the building companies point of view, is finished. The DIYer will then take over and finish the internal work. This might include putting in the insulation before adding the flooring and building internal walls. The DIYer will then need to finish the ceilings and walls with plaster and hang the doors. Plumbing and electrical work will have to be done although that will need to be handed over to qualified sub-contractors for first and second fixes. The final furnishing and decorating are then the last tasks to be completed. With shell loft conversions an important thing to consider is compliance with the building regulations. The builder, through his contract, should be responsible for ensuring that the work he does in building the shell complies with the building regs. It is hugely important that the contractor fulfils that responsibility before leaving the site. Once the project is handed over to the DIYer it becomes the householders job to deal with the building control officers, to ensure all paperwork is done and the final completion certificate obtained. Another popular reason that many homeowners choose a shell conversion is so they can use the loft simply for as a storage space. This involves putting down loft boarding and you can choose to do as much or as little as you wish. Some people simply board the centre of the roof space whilst others will board the entire loft and put in a loft ladder and lighting. Importantly this kind of loft conversion does not require building regulations approval but of course it can only be used as storage. 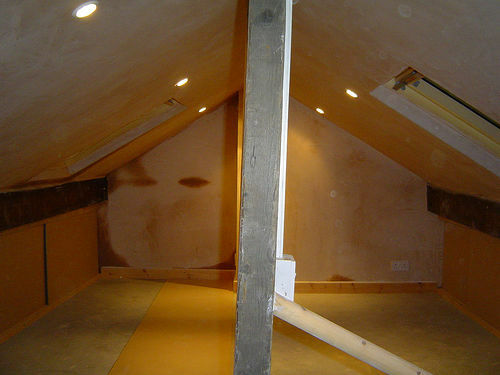 Making the loft into a habitable living room will mean you to go through the building regulations procedure. Getting a storage or shell conversion will undoubtedly save you plenty of money and, if you are good at DIY, then simply getting the beams installed and the floor strengthened will leave you with a challenging but enjoyable project to complete. As always be careful which company of builders you bring in to do the work. Most loft conversion specialists will be only too happy to build shell or storage loft conversions but be careful to ensure that the builder knows exactly which work he is responsible for and that the work is itemised on any quote you receive.